This novel is a nice, gentle read- that males and females alike would enjoy reading. Sue Townsend delves deep into a young teenage boy's mindset- describing his worries about his future, girlfriends, parents and acne. The novel starts off with Adrian being 13 and a 3/4 years old, when he experiences the full blow of his parents marital troubles. He also starts to fall in love, and tries to pursue a career as an intellectual. I liked the way the novel is set out, the diary entry form is very appealing to the eye, which makes it a book you can pick up and won't want to put down again. 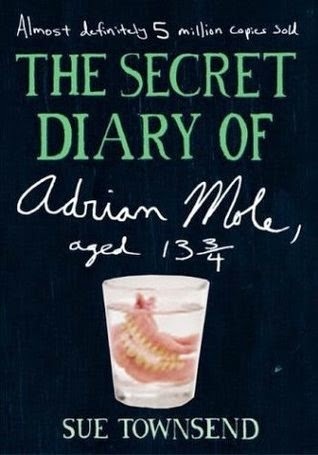 Sue Townsend makes Adrian seem very witty, and a relatable character. This book isn't very challenging and complex, which is why I rate it 3/5 hoots, but it's a good pick up book you will get enjoyment out of.